Roxil? If you have never heard of it join the club – this is my first brush with the range. 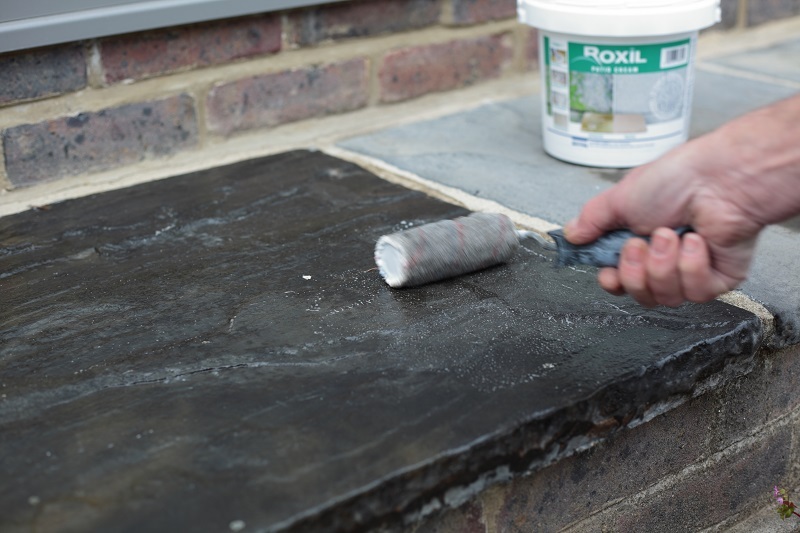 Roxil Wood Protection Cream is a colourless cream that gives softwood a water-resistant silicone coat that also penetrates the fibres to help prevent rot. The cream is white when you apply it to give a trace, and help achieve even coverage, but it dries as clear as water with no sheen. It is said to give protection for 10 years and re-coating requires nothing more than a quick clean down, preferably with Roxil Wood and Patio Cleaner to help eliminate any bio mould growth. There is no need for sanding or keying of the surface because the protection cream is absorbed rather than sitting on the surface. This product is perfect for any situation where you want to maintain the appearance of the timber whilst giving it protection and improving the stability. The stability is an important consideration because, all too often, timber with fluctuating moisture content will warp and twist. Of course, it needs to be said that there are plenty of oils and waxes out there which will do roughly the same thing but some of those natural oils actually promote mould growth, so you need to know what to apply, and where, if you are to avoid making matters worse. Obviously, north facing elevations are more prone to mould growth, and moisture doesn’t evaporate from them as readily, so they may stay permanently damp during the winter. 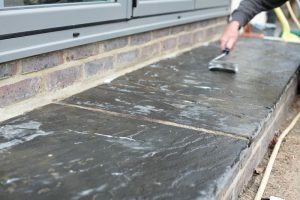 The easy way to clean a patio is with a pressure washer, but often it removes pointing or joint fill and it can also cause surface erosion, which gives a key for algae. 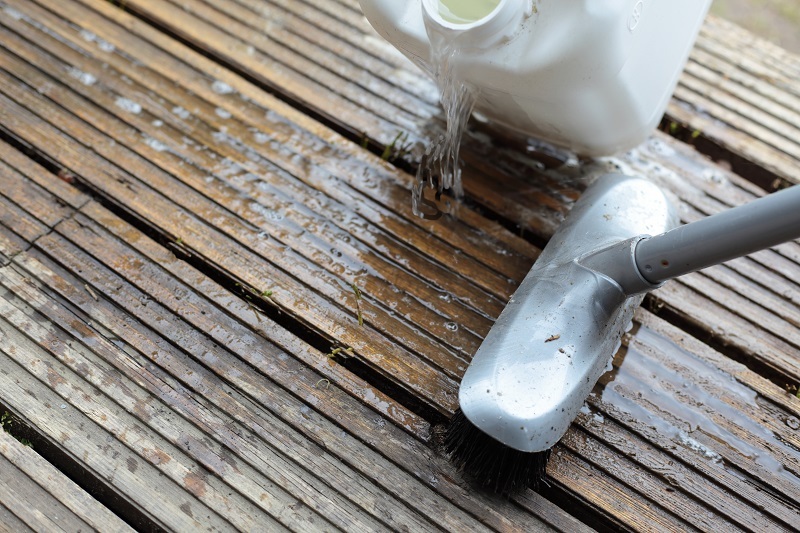 Using a cleaner, such as this Roxil Wood and Patio Cleaner removes mould and dirt, and prepares the surface for a protective coating, such as Roxil Patio Cream. It may well be that this is the same product as the company’s timber cream since it penetrates and protects in a very similar way. You even apply it in the same way with a brush or roller – so who knows? The important thing is that it helps prevent future staining and helps reduce mould growth, so you may not be out there every spring scrubbing and sweeping. I am no chemist, so I won’t pretend to know the ins and outs of this magic potion, but it seems to work. I used it on my neighbour’s new patio so it had better work or my name will be mud. For further information on Roxil from Safeguard Europe click here. Does the Paving Industry Need to Focus on Surface Water Management?